Discussion in 'Tank Journals' started by Wlachnit, Apr 16, 2017. I have been meaning to start this journal since I had my new tank ordered/delivered... which has been 6+ months. However, I thought I would briefly review the beginning....which was 11y ago. 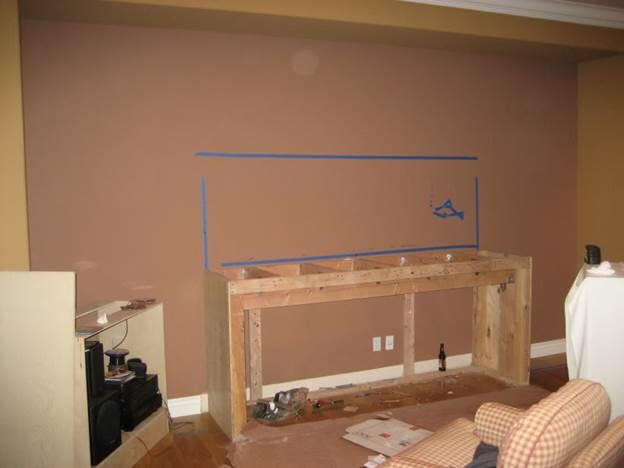 When we moved into our house (11+y ago), we were trying to decide what to do with the space in the Family Room where most families would put the big screen TV. We were thinking bookcases, but it needed a focal point. 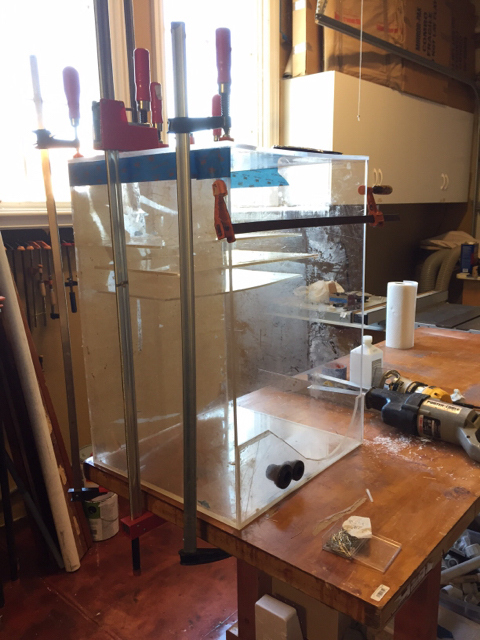 Having been interested in setting up a salt water aquarium for many years, we decided that was what we were going to do....and it was an opportunity to do some woodworking. This was the result of that project in 2007. Alexx, daddio, rygh and 2 others like this. 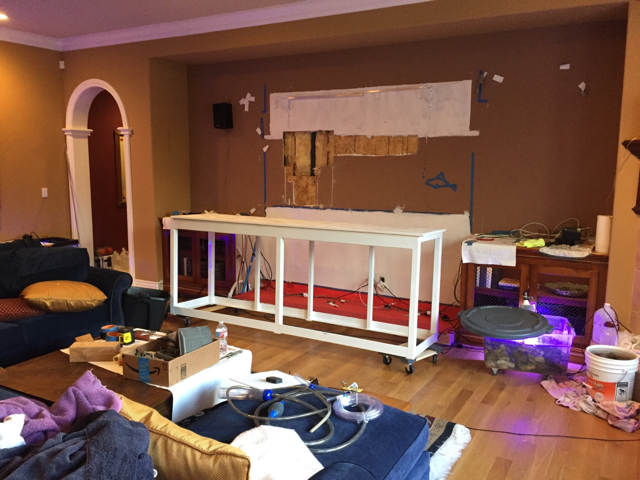 I know there are a few other woodworkers in the club so I thought I would share some pics and details from the cabinetry build. 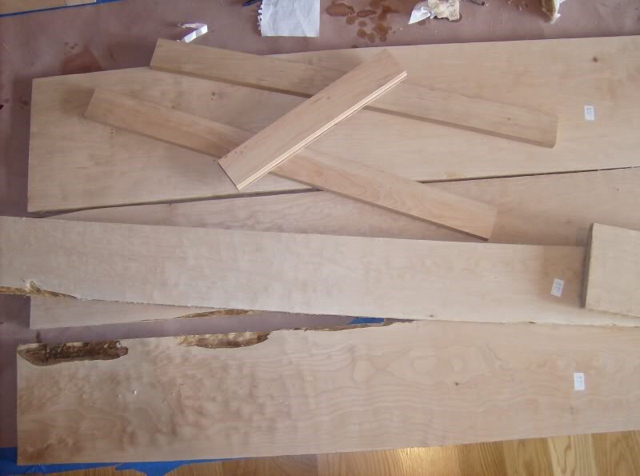 Moldings and Trim - I ended up milling most of the moldings out of 4/4 Cherry and Figured Cherry for economic reasons as well as wanting to avoid the stock look. 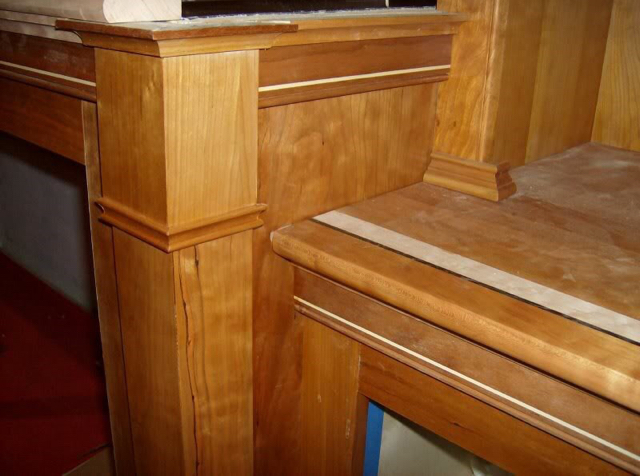 I also added several inlays when I milled all the trim to customize it further and help define the lines of the cabinetry. 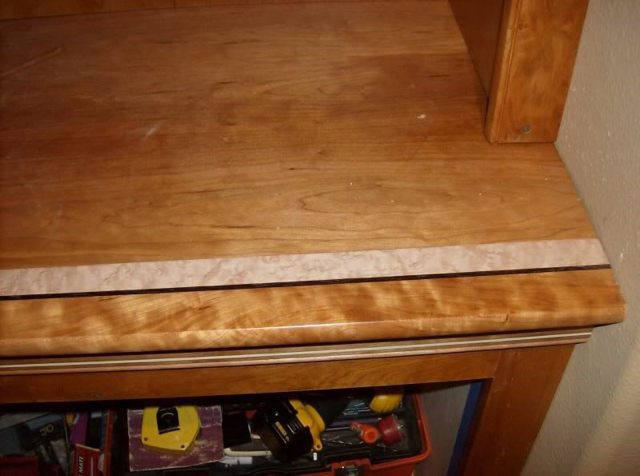 Baseboard, I routed a couple of grooves to add a White Holly and a dark Wenge inlay. 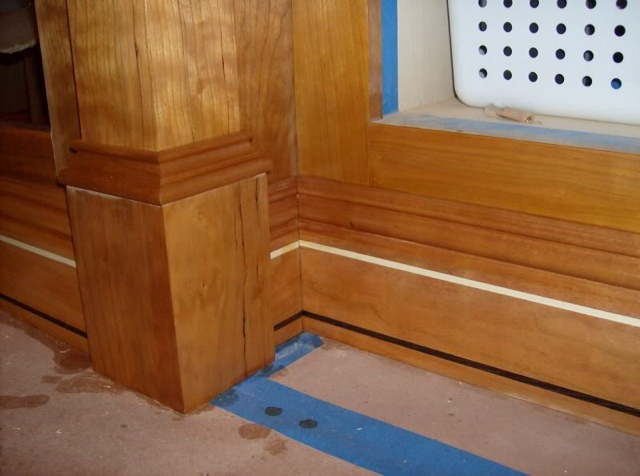 The inlays were made by ripping 1/8" strips of lumber. 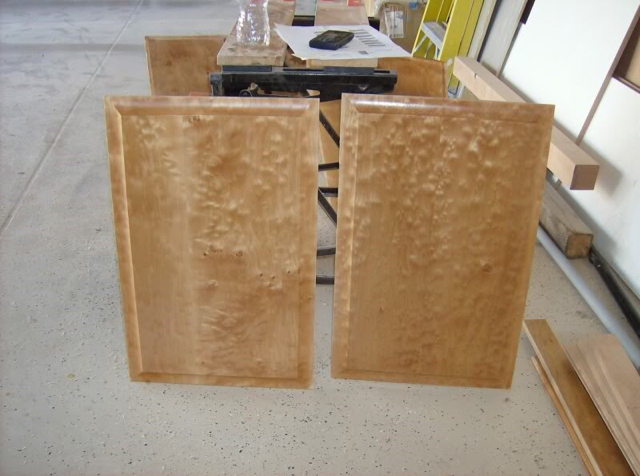 Raised Panel Doors - I used 4/4 Western Quilted Maple lumber. Been waiting for this journal! Glad you made it happen. Welcome to the full version of the club! I learned a lot from that build and I realized that as the hobby evolved as well as my own knowledge/experience, that a lot of improvements could be made. I had purchased that tank new. 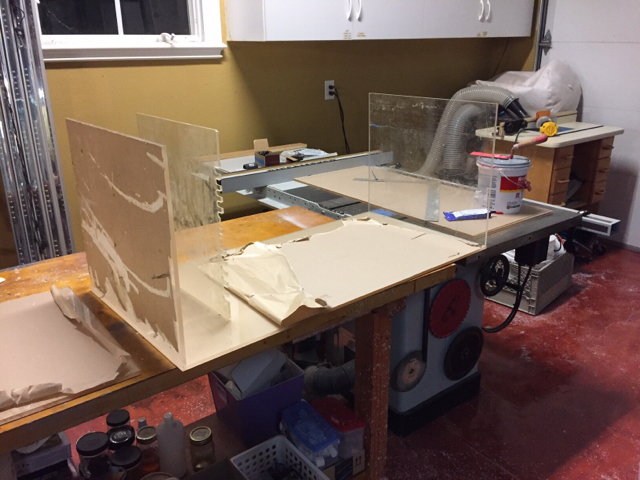 It was an acrylic TruVue 96 x 24w x 30h. The dual corner overflows were undersized with only one 1” Durso standpipe in each overflow. I considered turning it into a Herbie with one corner being main overflow and the other being the trickle. But, that would not work well since each one would be in a different overflow. The other challenge I had was that I did not have enough lineal overflow. There were also a lot of dead spots which over the years built up a lot of detritus. I had the LR setup in a way that made it tough to get good flow everywhere. 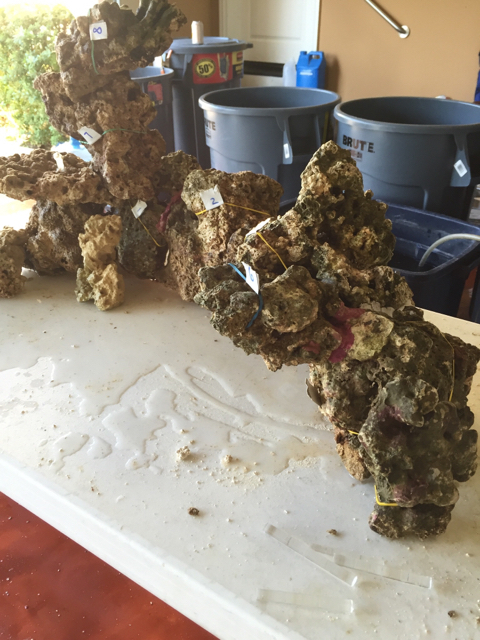 I had built a foam rock wall along the back which I believe contributed to phosphate buildup. Although admittedly, I did neglect it for a couple of years which I'm sure gave the LR plenty of time to accumulate PO4. Anyway, I finally got to the point that I needed to tear it down and re-build it. 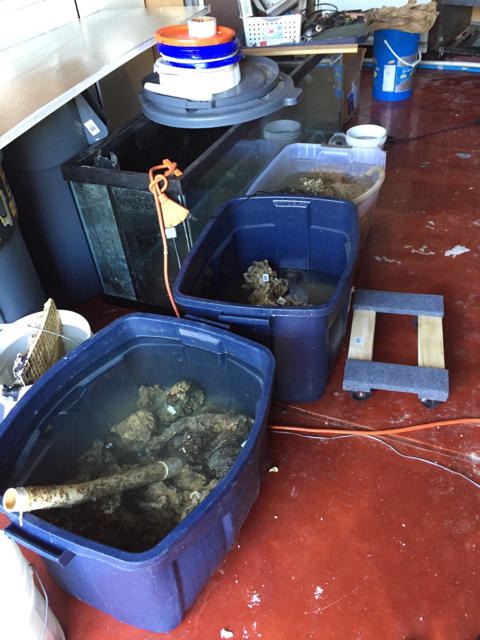 So, I started by pulling LR out of the tank (in batches) to treat it with LaCl3 to get all of the phosphates out. And as with a lot of things in life, what started as a smaller project fully bloomed into a complete re-build. 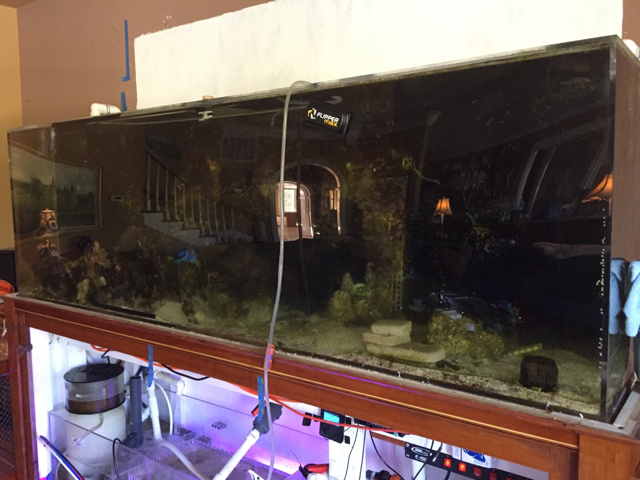 I then decided to replace acrylic tank, which by now had a good share of scratches. 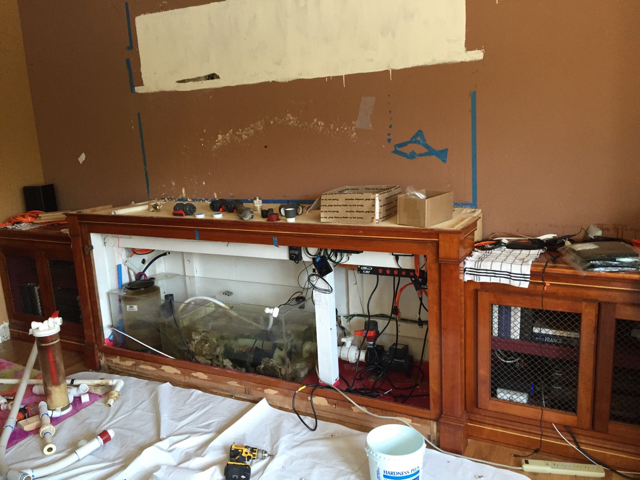 This gave me an opportunity to start from scratch so to speak and have a Starfire glass tank built to replace it. I will try to capture all of the changes I made or will make based on my experience with the past setup. Beautiful work! 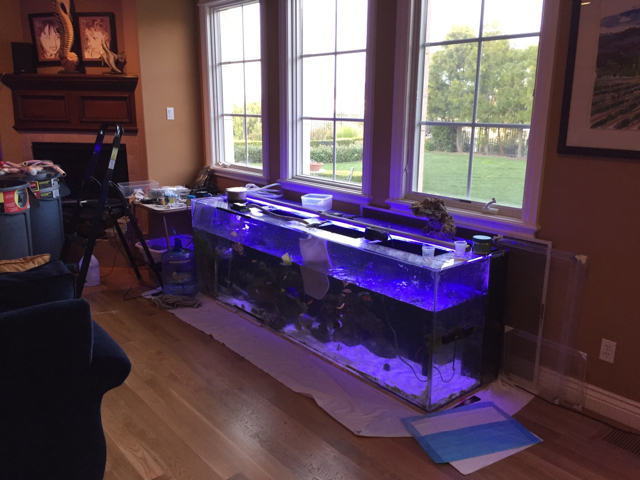 Can't wait to see the new tank. 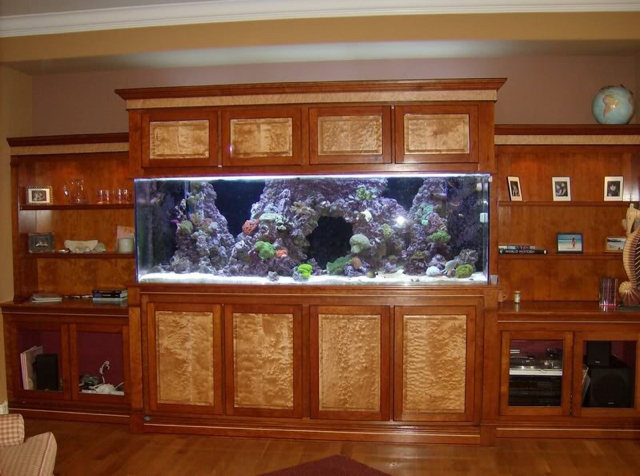 Awesome wood work. Can't wait to see the rest of the build. 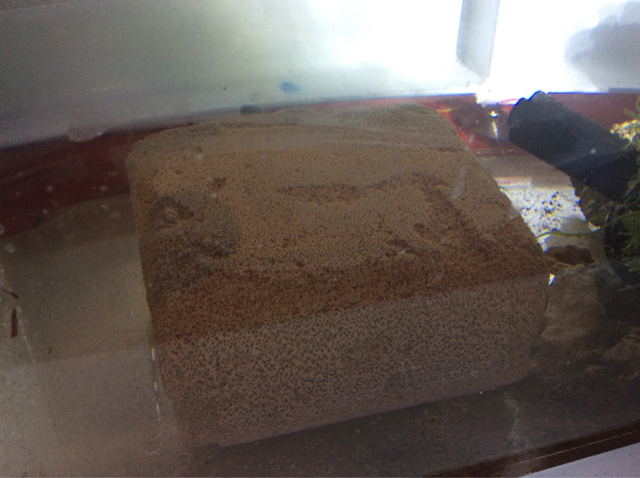 I wanted glass because I was so tired of not being able to clean the front of the tank without risking scratches. After almost 10y of cleaning it, I do have surface scratching which then makes it harder to keep the surface clean. 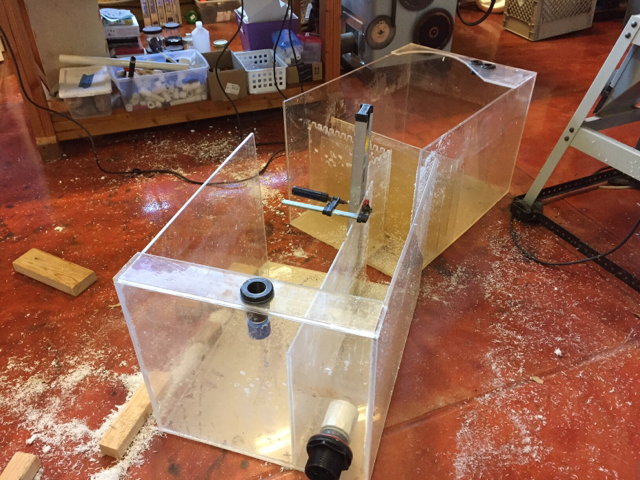 I did consider emptying and polishing the tank, and even though I have all the tools to do that myself, there were still other things….such as the slight bowing of the front panel since the tank is only ½” think, the undersized overflows, the small openings at the top, and finally knowing that it would just get scratched up again. So, I went out and got a few quotes for a 3 sided starfire tank with the same dimensions. I ended up going with Trent at CDA. It is ½” front/side panels with ¾” bottom, ¾” eurobracing, and reinforced seams. We also at the last minute decided to install a top metal brace to make it even stronger (given that there is a canopy over it, the brace would not be seen. I had it drilled for dual 20” Synergy ghost overflows and four returns because I wanted a lot of lineal overflow. 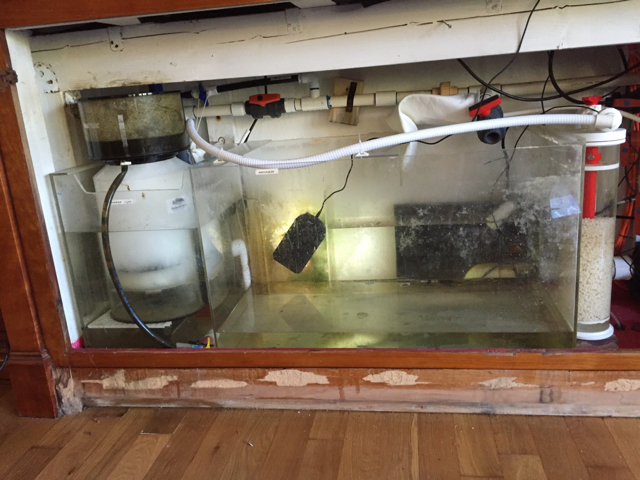 At the time, the C2C overflows that I saw had external boxes that took up too much room behind the tank. 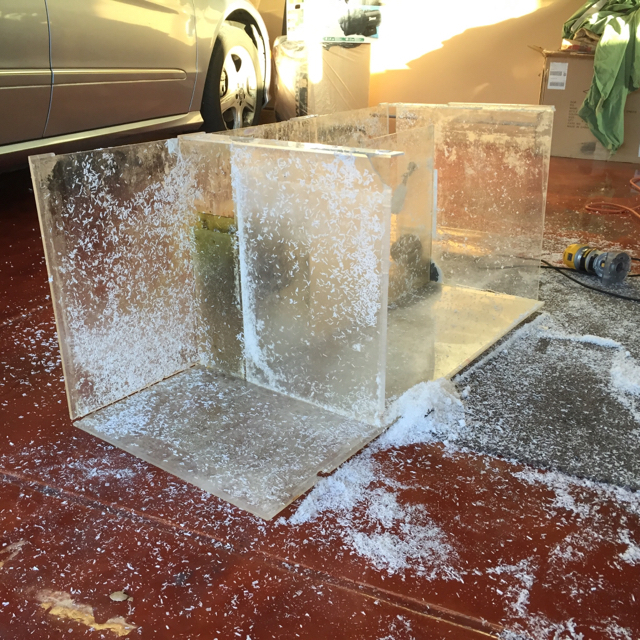 In hindsight, I could have built one myself out of acrylic to fit my dimensions. This angle shows where the 4 holes were drilled for the returns in addition to the 1 1/2" bulkhead holes for the ghost overflows. The holes for the returns were sized for 3/4" bulkheads. 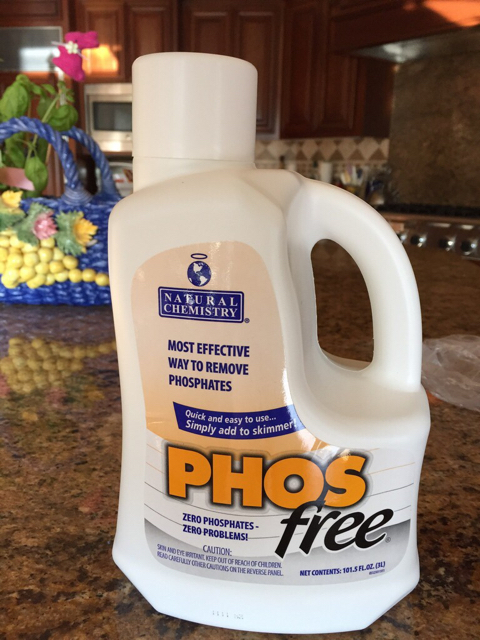 I decided that my first task was to get rid of PO4 buildup in the system. 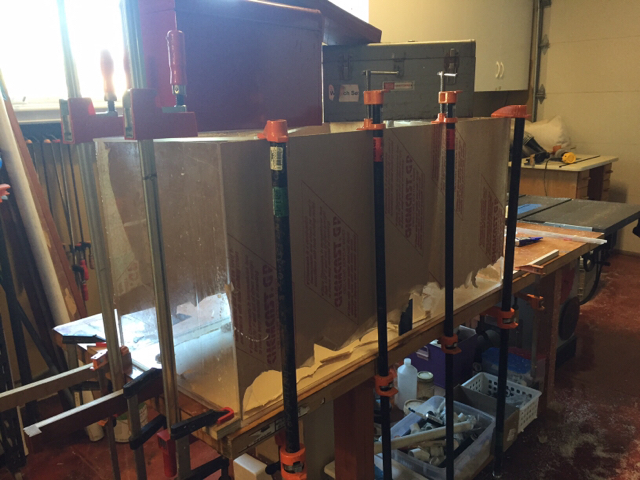 I setup a 2 reactor system so that I could drip LaCl3 (PhosFree) using an IV bag through the reactors and catch the precipitate. The amount of LaPO4 precipitate was staggering. 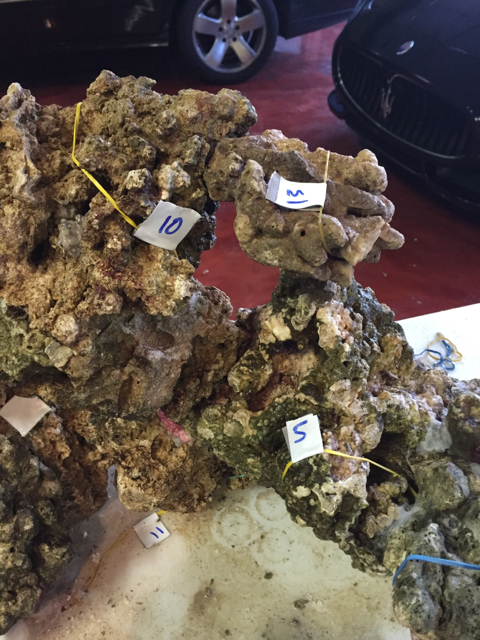 The white gunk sitting on top of GAC was presumably LaPO4. I would switch this out every week. At the same time I removed about 1/3 of the LR and put it in a bin with a powerhead and LaCl3. I would swap the water out every ~10d and measured the PO4 with a Hanna checker. 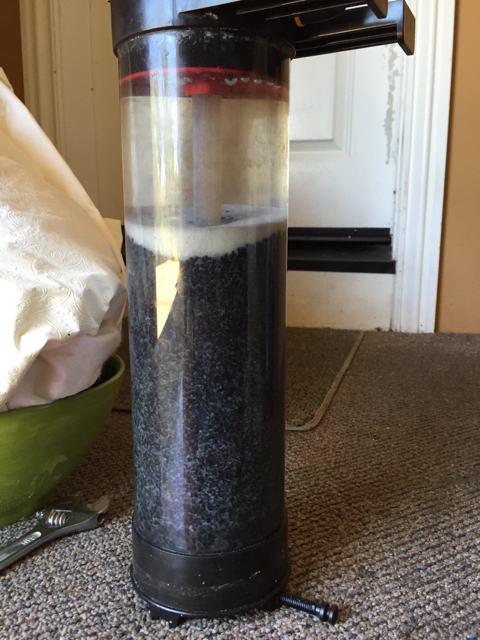 I was able to get it down to ~0.1 – 0.2 ppm in about 6 weeks. Since I had a light to medium load in my DT, I figured that taking out 1/3 of the LR was a safe bet. To be sure. Doing this also gave me an opportunity to finally get rid of aptasias and majanos. 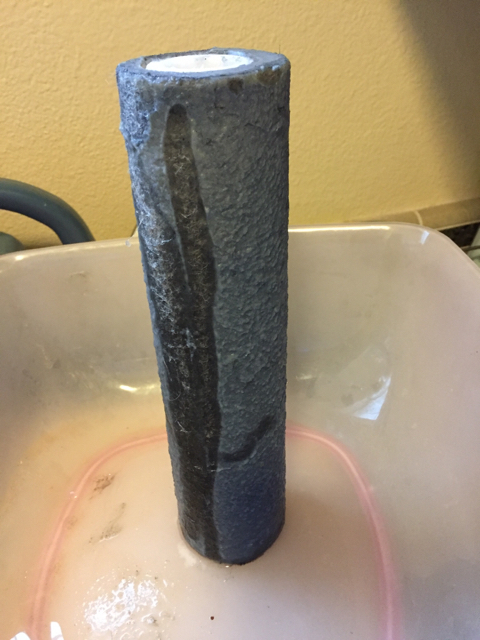 I also added a ceramic Marinepure block to the DT sump just to make sure my nitrification/denitrification stayed in check. Great thread! Your old issues sound SO much like my situation. Similar size tank. Dual corner overflow problems. PO4 problems. Majano problems. Scratches. I have been so tempted to completely rebuild, so many times. Thanks. I completely agree on the similar challenges. And, yes, I remember you've been struggling as well. I also decided to rebuild my original sump. I wanted to increase my overall volume from ~80g to 90-100g. I wanted to be able to access my skimmer more easily. I had built it such the return section in the back was really narrow with ineffective baffles and it was loud as the water went from the skimmer section to the return section. 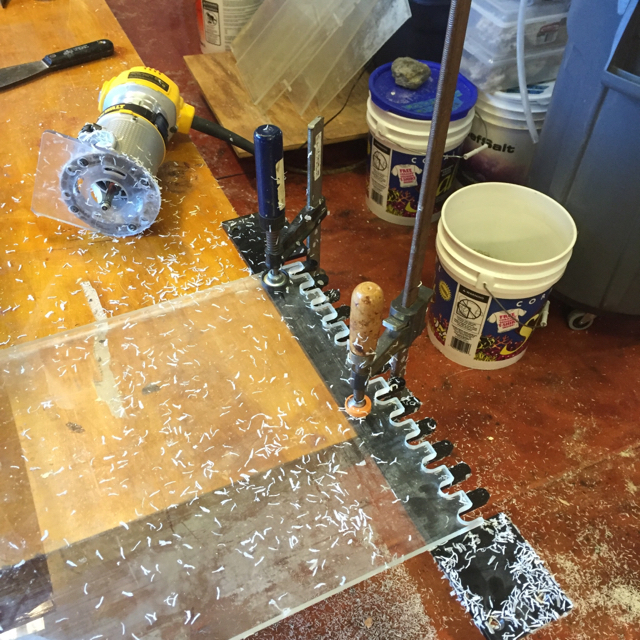 So I cut it up and salvaged as much of the acrylic as I could. 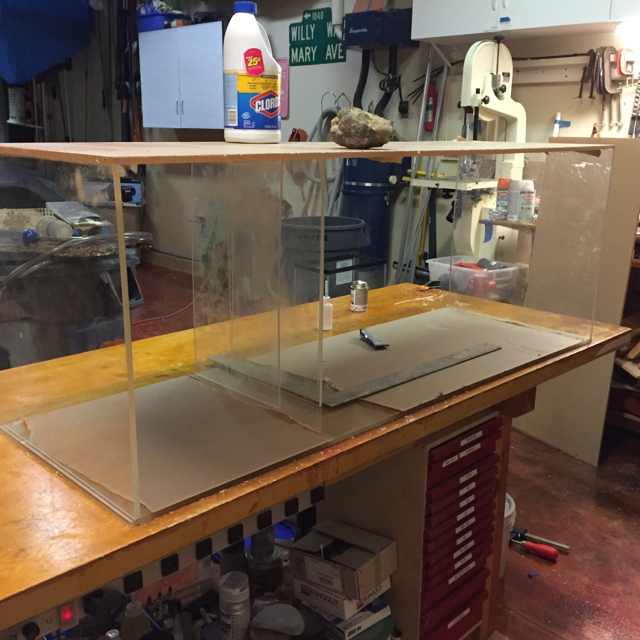 Here was the new and improved sump. 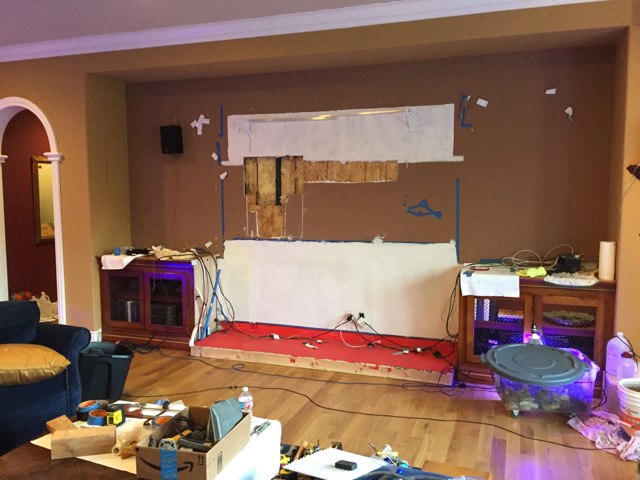 It was 54" instead of 48", only 18" high for easy access and much improved baffles. 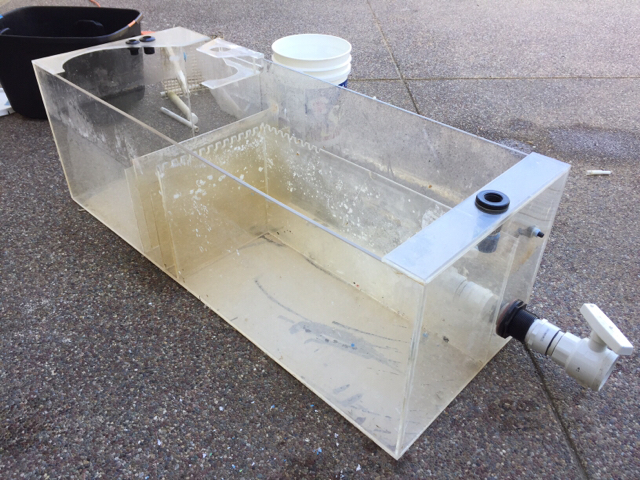 I installed the sump and it functioned really well. BUT because a month or so later (while I was still waiting for my new tank to arrive), I made a decision to have CDA build me a steel stand. 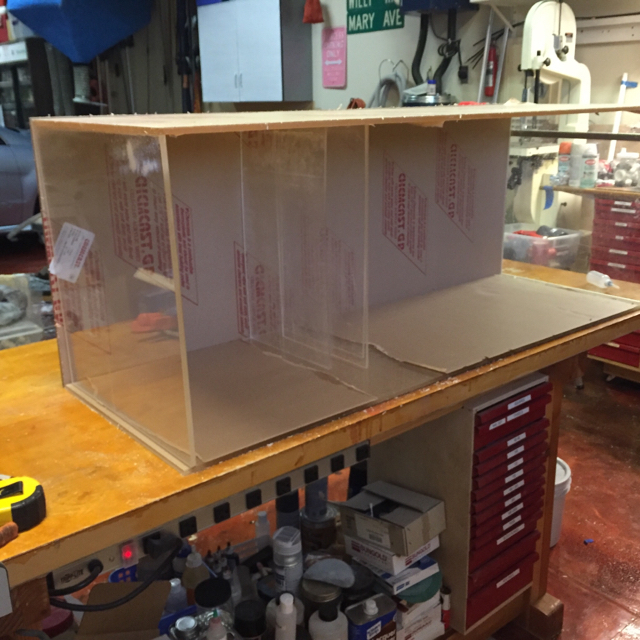 Which meant that I most likely needed to build the sump yet again to accommodate the dimensions of the new stand. A 54" sump would not be able to slide in under the stand because of the middle leg of the stand. 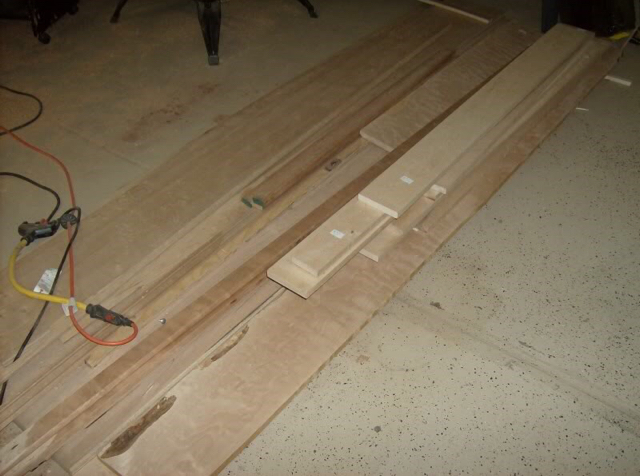 This also meant that I had to dismantle my cabinetry and remove the wooden stand I had built years back. 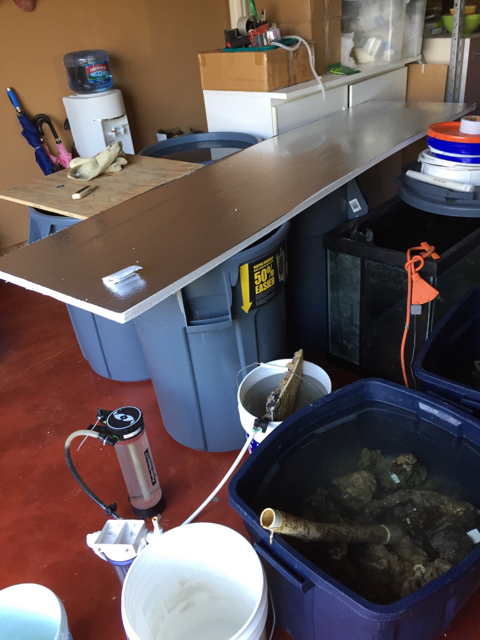 Also, I had just scored on a Reef Octopus 350EXT skimmer from a fellow reefer who is getting out of the hobby. I debated whether I should put it in the sump or not. After some feedback from fellow reefers, I decided to go ahead and place it in the sump. And, it fit just right. I am really happy with this skimmer. It is really easy to dial it in just right. 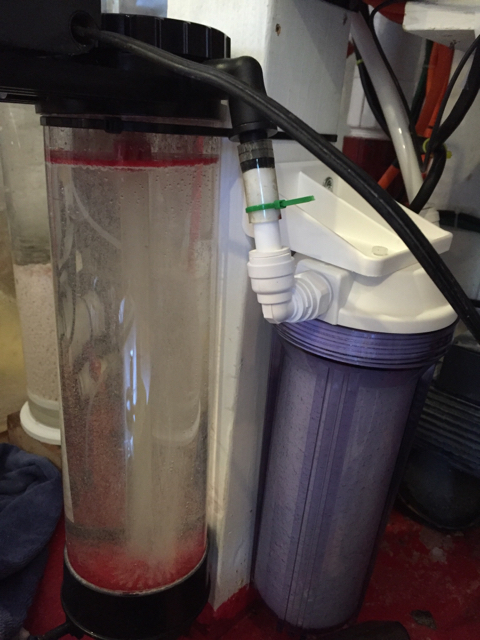 My old internal skimmer was 11+ years old and I constantly struggled to get the dual Sicce pumps dialed in just right which was really finicky. 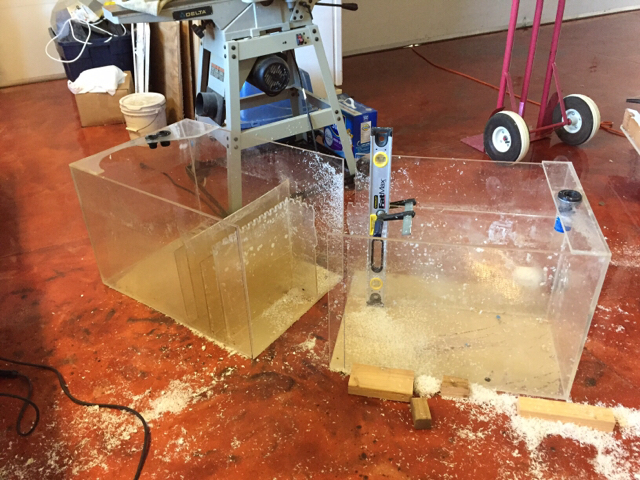 After about a month, I pulled out the sump in anticipation of the new tank and stand arrival and I cut the sump in half. This was somewhat painful as I had just finished building it. 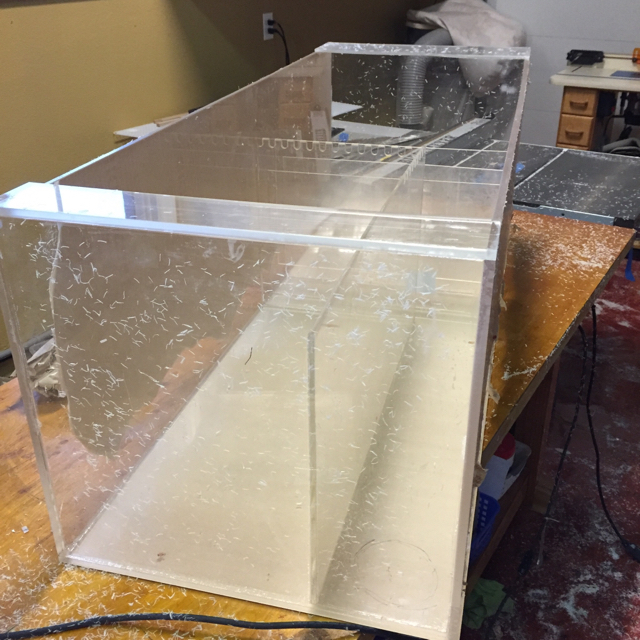 And once again, I ran down to Tap Plastics for more acrylic because I decided I wanted my sump bigger! 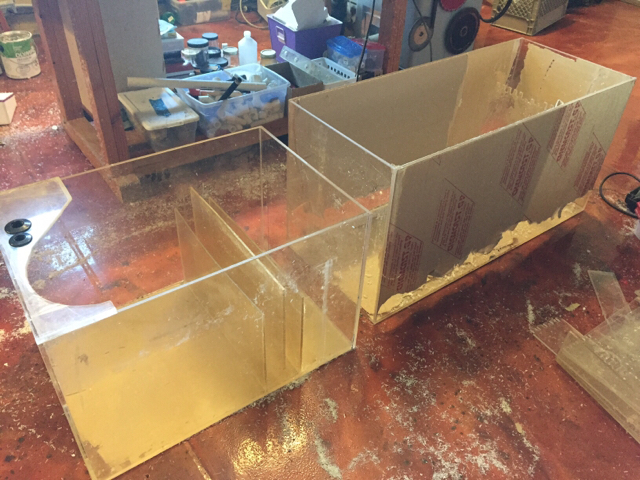 I ended up with two sumps with about 110g capacity. 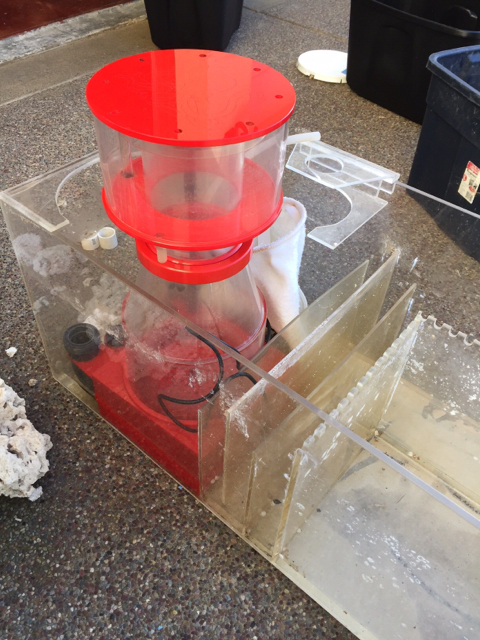 The first sump has a section for my Skimmer and a return pump. 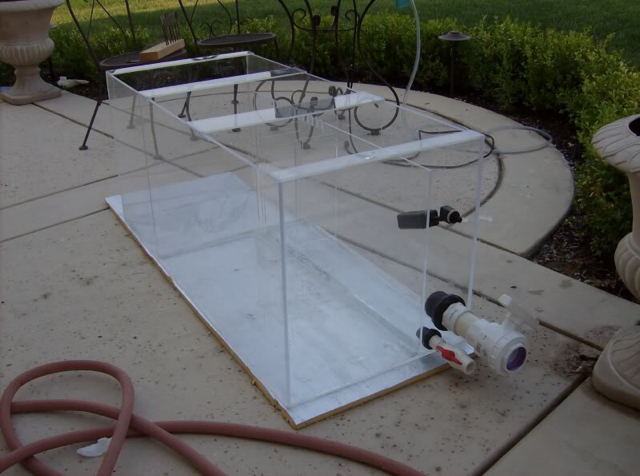 The second larger sump is a refugium and a return section. The two will be connected with two 1 1/4" bulkheads. 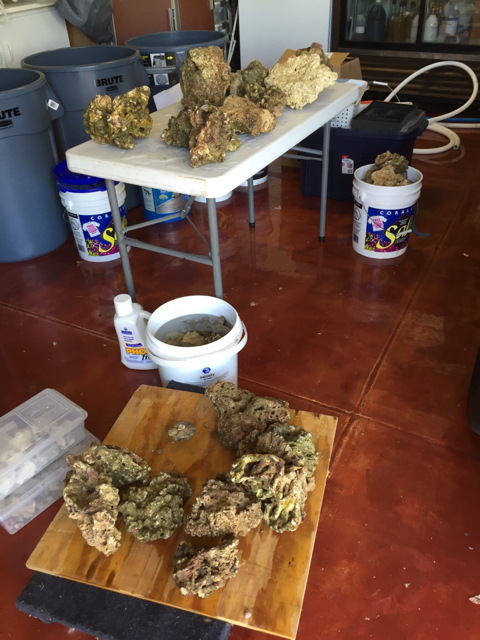 Once I had the LR treated and ready to go, I started the aquascaping phase on a table in the garage. I used acrylic rods, epoxy putty and super glue. And, I had missed the rockscaping clinic, so....no I did not use any hydraulic cement. In hindsight it would have made it much easier. 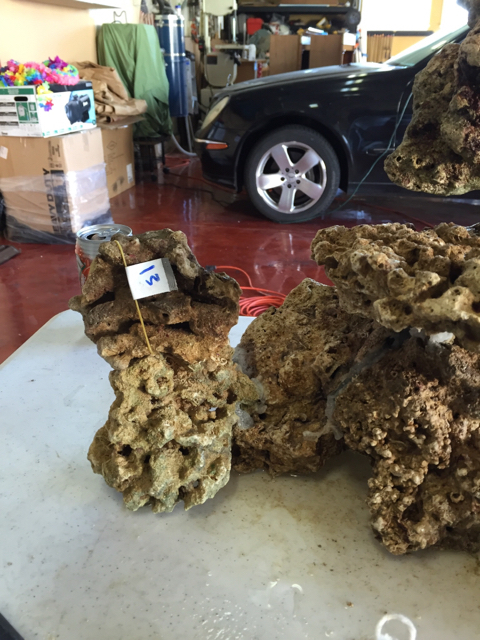 Once I had most of the rockscaping done, I kept the rock cured in a bunch of brute cans. 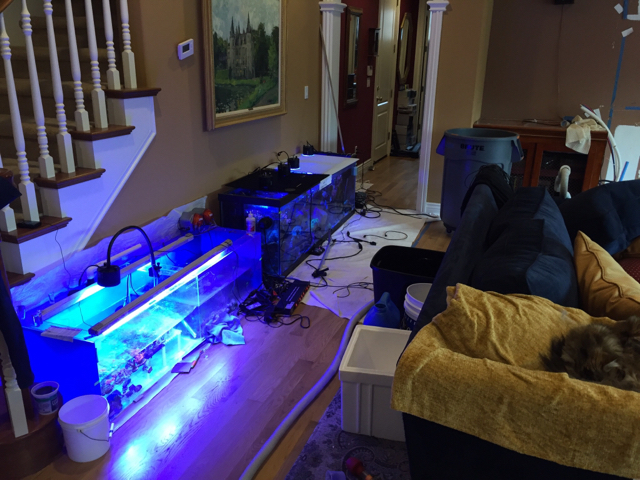 I then took down my 300 DTand set it up temporarily on the floor with it partially filled to keep all of my fish alive. I had a number of Tangs that I have had for these 11 years so it was important that they make the transition. 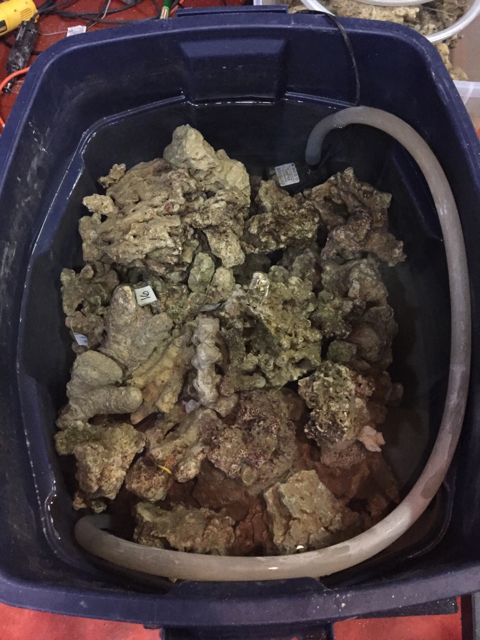 I had my coral frag tanks going, but I also picked up an old 135g tank off of Craigslist to maintain all of my coral during this transition. 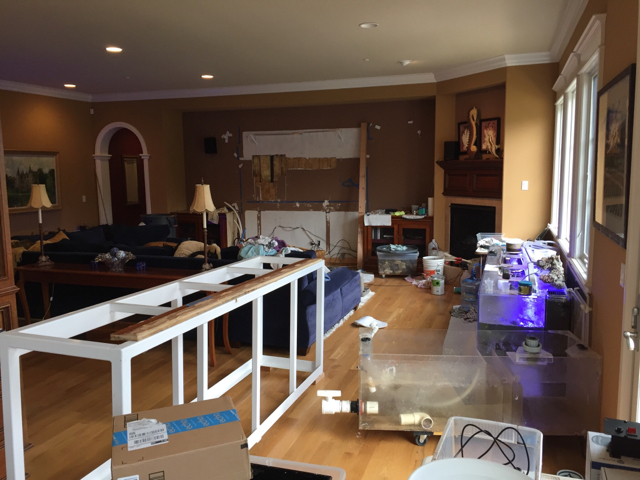 Now I had 3 large setups on both sides of the family room floor. ...and a very supportive wife! 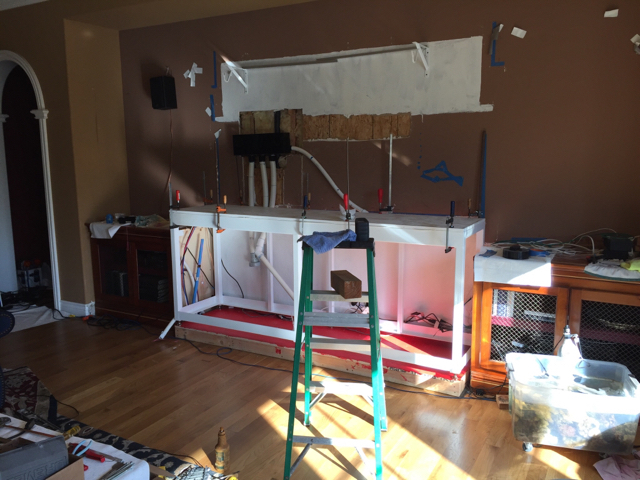 I then gutted the cabinetry and stand. 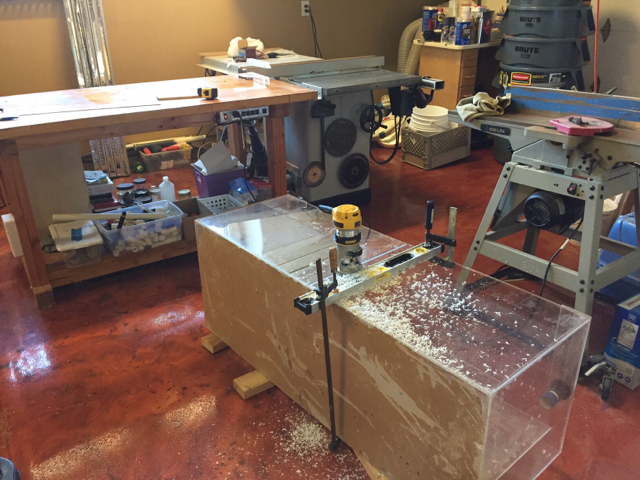 I picked up the stand and moved it into position, leveled it and attached a 3/4" ply bottom. I was finally ready to take delivery of the tank! rygh and Kmooresf like this.